There’s nothing quite as heartwarming as seeing the look on your dog’s face when you bring out the treat bag. The way their face lights up is priceless. But what exactly is in those treats you’ve been feeding your dog? Not all dog treats are created equal, and a lot of popular products from well-known brands actually aren’t all that great for your canine companion’s health and well being. A lot of them are mostly fillers, often soy or grains. These can be tough on some breeds’ digestive systems, especially when wheat gluten is involved. It can make them gassy and uncomfortable, not to mention adding no nutritional value at all. Preservatives, dyes, fillers, and other additives may actually be harmful to your dog, and the kinds of pet products that use these ingredients simply aren’t particularly nutritious. They may not cause your dog immediate or serious harm, but honestly, there are better options out there. 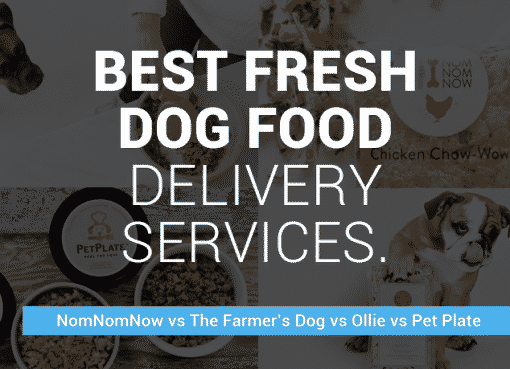 In response to these problems with a lot of pet products, many companies have stepped up with healthier, higher quality, all natural dog treats you can feel good about feeding to your best friend. At the recent Global Pet Expo, we searched for the very best dog treat companies that we think will make major waves in 2018 and beyond with their responsible, caring approach to dog treats. These six companies stand out as some of the foremost pioneers in the growing natural pet product space, producing healthy, sustainable dog treats that don’t skimp on flavor. If you’re less than impressed with what’s in the treats in your local supermarket pet aisle (and we don’t blame you! ), check out these great alternatives. 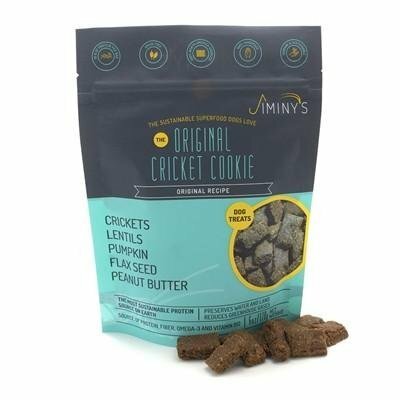 Jiminy’s is a unique dog treat company based around an unexpected ingredient: crickets. In the US, there are quite a few companies that produce cricket powder, a protein-rich and nutritious product that can be integrated into other foods like protein bars. With protein content comparable to animal meats like beef and pork, cricket powder is actually very nutritious — not just for humans, but for pets, as well. Jiminy’s produces all natural dog treats using cricket powder as the main ingredient, providing a great treat for your dog that’s as tasty as it is nutritious. The nutrition content of the company’s treats is impressive. They’re packed with proteins, essential amino acids, omega fatty acids, and even iron, courtesy of spinach added to the treats. They definitely pack an impressive nutritional punch. Available in a range of creative and unique flavors, including flavors like peanut butter and pumpkin, you’re sure to find a treat your dog will love. Not only are they just as nutritious as beef or poultry, if not more so, but cricket farming is actually a lot more environmentally friendly and sustainable than livestock farming. Per 100 grams, cricket meal provides a full 31 grams of protein, versus 22.4 grams for the same amount of beef, or 18.7 grams for chicken. It’s also richer in omega fatty acids, iron, and fiber — fiber, in particular, isn’t even present in animal meat. To produce that 100 grams of cricket meal, it takes 1.5 square meters of land, 0.1 liters of water, and 170 grams of feed. Compare that to 20 sq meters of land, 2200 liters of water, and 1000 grams of feed for an equivalent amount of beef. Plus, cricket farming produces far smaller quantities of greenhouse gases than cattle or poultry farming. The company’s flavorful, environmentally friendly, and highly nutritious treats are something every dog owner should try.. Your dog will thank you. Most commercially available pet treats are full of all kinds of preservatives, colorants, and other questionable additives. Who knows what you’re feeding your dog? Bare It All Pet Foods was created as an antidote to the preservative-laden treats in supermarket pet food aisles. 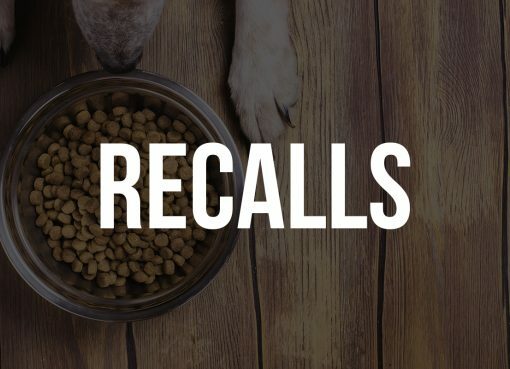 Back in 2014, the company’s founders had noticed that most pet foods and pet treats had some pretty deceptive packaging, full of empty marketing buzzwords making their products come across as a lot healthier and more natural than they really were. They set out to create products where pet owners would know exactly what their furry friends were eating. Their treats are made from limited set of carefully selected ingredients, free of the nutritionally empty fillers that are so common in other pet food brands. Like Jiminy’s, Bare It All makes most of their treats from one particular nutritionally dense protein source, although it’s a bit less unconventional. They use a species of fish called Asian Carp. In the Midwest, they’re a highly invasive species that’s been wreaking havoc on local ecosystems. The problem with carp is they will eat nearly anything and everything, and up to 40% of their body weight in a single day! This means less food sources for other fish which will die out as they can’t compete with the carp’s appetite. With a nutritional profile similar to salmon — but free from mercury contamination — the carp turned out to be a perfect solution for healthy, nutritious pet treats that also help the environment. Bare It All pet foods and treats are available through their website, as well as in a handful of stores nationwide. They offer products for both dogs and cats, in a variety of types and flavors. Vegalicious is another hot up and coming pet treat brand based around healthy, natural vegetable ingredients. They stand out among natural pet food brands, in that their products are not only vegetable based, but fully vegan friendly. 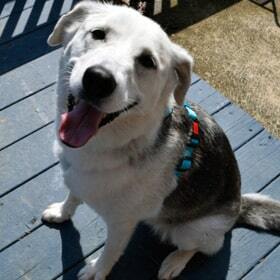 For pet owners that are conscious about animal welfare, it’s a dream come true. 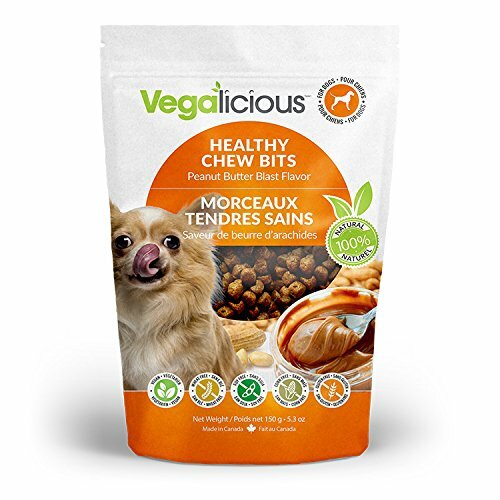 Despite being free of meats and animal proteins, Vegalicious dog treats are still packed with healthy vegetable protein and the essential amino acids that dogs need. They’re free from grains and starchy legumes like corn, wheat, and soy, which are often used as fillers in cheap pet food brands, and which have questionable nutritional value for canines. They’ve got a creative selection of fun, tasty treats for man’s best friend, including Popped Snacks, Chewy Twig Sticks, treat bars, and more. They also offer Tarter Off treats that are great for dogs’ dental health, as well as Food Enhancers you can sprinkle on your dogs’ regular food for extra probiotics and vitamins that keep them healthy. The treat bars are an ideal solution for taking your dogs hiking as a nice reward and boost of energy at your summit! Lord Jameson Organic Dog Treats are another great brand made entirely from vegetable-based proteins. 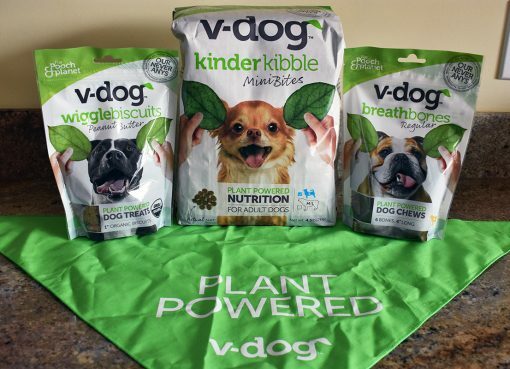 Their treats are completely organic, made from natural ingredients and free from preservatives, artificial flavors and colors, and GMO ingredients. The company’s founder works with therapy dogs, and a percentage of the company’s profits are donated to service dog and therapy dog organizations in the United States, as well as to animal shelters and other organizations dedicated to animal welfare. Lord Jameson treats are created using a selection of flavorful natural ingredients, selected for their nutritional value and environmental friendliness. Coconut. Nearly all of the company’s products incorporate coconut or coconut milk, a rich source of important fatty acids that help maintain healthy digestive, endocrine, and immune systems in dogs. Red beets. Beets are as good for dogs as they are for humans, providing key nutrients like beta carotene, thiamine, riboflavin, and vitamin C.
Sweet potatoes. Sweet potatoes are surprisingly beneficial for dogs’ digestion, as well as providing a source of dietary fiber. Purple carrots. These unusual carrot cultivars, with deep purple-red coloration, are a rich source of beta carotene, vitamin A, vitamin C, and vitamin K.
Pumpkins are a vitamin powerhouse, low in fat and high in fiber. Blueberries and strawberries. These berries are a great source of antioxidants. Peanut butter. This heart-healthy source of dietary fats is also rich in healthy plant protein. Like most of the other brands on this list, Lord Jameson treats are made in the USA. Whisk and Wag specializes in nutritious, flavorful homemade treats. This family owned company has been around for an impressive 135 years and their motto says it all – “you whisk, they wag”! 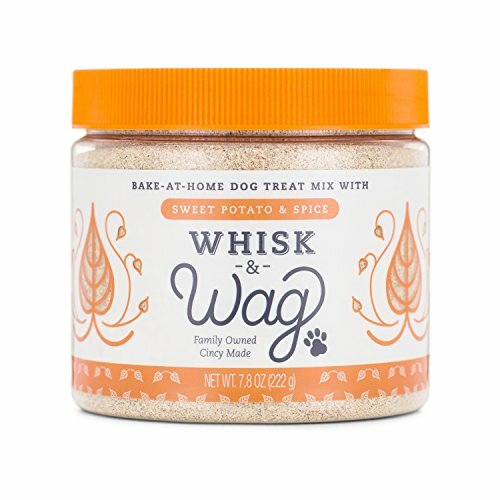 Whisk and Wag is unique in that they actually sell dry mixes that you can use at home to bake up fresh, homemade treats for your canine companion. Like baking mixes for human cookies and cakes, Whisk and Wag’s dry mixes are easy to whip up, using regular household ingredients like vegetable oil, water, and coconut oil. It’s just like baking cookies, you can quickly and easily have fresh dog treats that your dogs will crave. All of their baking mixes are full of vitamins and minerals your dog needs, as well as being low in calories and fat. They’re made from high quality ingredients, and free of grains like wheat and corn. Some of their mixes (currently Apple & Cinnamon and Honey & Oats) are also non-GMO. One really nice thing about this company is they actually post their full nutritional fact sheets which you can see for all their blends here. Very few treat companies are so forthcoming with the full details of their nutritional breakdown. When you think of foods that dogs love, kale isn’t usually something that comes to mind. 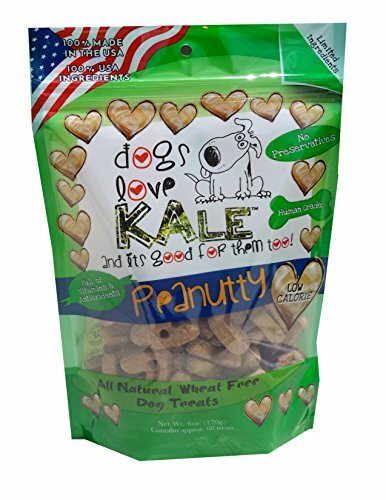 But at Dogs Love Kale, they’ve formulated an entire product line of tasty kale-based treats that dogs go crazy for, as well as their Snapeas line of pea-based treats. Available in a bunch of different flavors, they’ve got both soft and crunchy treats that are all natural and made in the USA. Dogs Love Kale was founded by two lifelong dog lovers, Paula and Dawn. After originally running a company called Twiggy Cupcakes that offers healthy baked goods for humans, they got the idea to create nutritious snacks for their canine companions as well. Kale, already a well known “superfood” for humans, is packed full of vitamins, minerals, and antioxidants, which are just as important for pets as for their owners. The vegetable’s lutein content also helps keep dogs’ coats shiny and lush. These companies all put out high quality products your dog will love, balancing great taste with high nutritional value. Free from harmful chemicals and fillers like grains, these dog treats are some of the best on the market. 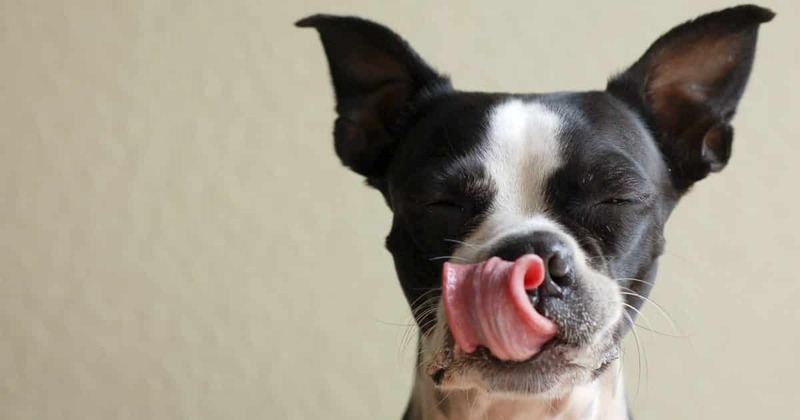 If you’re looking for the very best dog food to compliment these treats, check out our guide to the best dog food brands. Give them a try. Your dog will thank you.